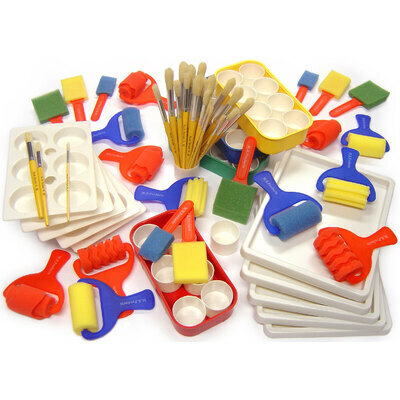 For teachers looking to kit out a new classroom or simply needing replacement items in the new term, our Early Years Painting Pack has been designed for you. Packed full of all the essential equipment you need to provide engaging and imaginative art sessions, the entire kit comes in a handy and lockable box which can be used for future storage and to ensure all items are returned at the end of play. Each item in this painting pack has been chosen for its versatility and high-quality performance to ensure you and your class will have hours of fun throughout the entire school year. Along with our painting pack and helping to support teachers and children alike in creating magical art sessions, our Arts & Crafts range is packed full of engaging products from our Foam Leaves Assorted Pack of 8 through to our Four Child Easel for multiple pupil use.